Google is tweaking their algorithm to “significantly impact” your business site’s ranking based on how mobile friendly it is. This means that your top priority now is to make sure your web site scores well on mobility with Google. Test your site at GrowTheDream.com/mobile. How often should you be blogging for your company? What is the value of using #hashtags? 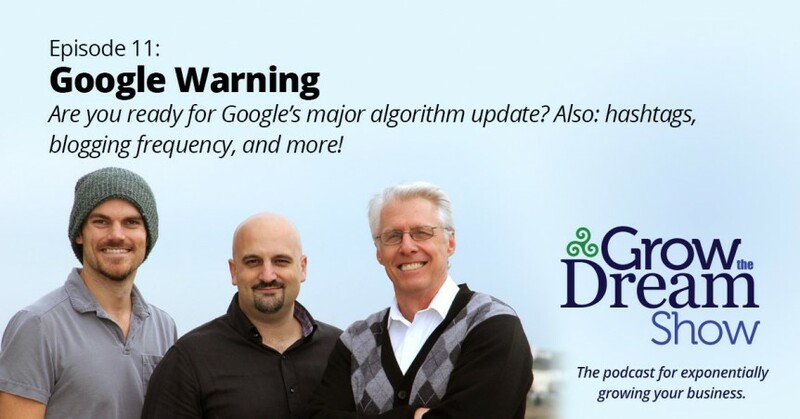 Pingback: Google Mobile Algorithm Update: Are You Ready?